All rudder propellers from Jastram are approved by the classification societies. 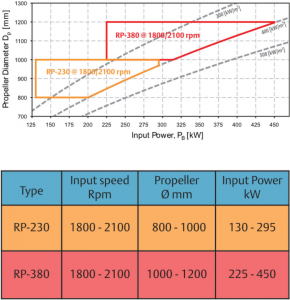 The optimum propeller diameters for these two rudder propeller types are 900mm for RP230 and 1100mm for RP380. Other customized propeller diameters are available. 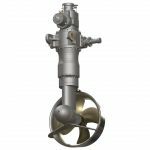 We offer a range of different configurations for the propeller.